Amazon, widely recognised as the leader in e-commerce, recently released the Amazon Echo – a device that you interact with using voice commands. The Echo quietly sits in your living room and awaits your enquiry, such as, ‘Is it going to rain today?’ or ‘When is the next train to London?’ This is undoubtedly a cool piece of technology but Amazon are currently losing a lot of money on the £50 to £150 devices and associated Alexa technology. According to the Financial Times this loss was estimated at as much as $330m in 2016. So why is Amazon investing in this technology? It would appear that its long-term vision of the Echo is one of a completely new and engaging sales channel for business and domestic use. By asking it to ‘add bread to the shopping list’ or to find out ‘how much a widget is’ users no longer need to shop themselves – they can simply add items to their shopping list and then ask the Echo to buy it, all from Amazon of course. As a consumer it delivers value in a range of convenient voice control services, such as train timetables or indeed, buying your bread. Its value to Amazon is that it creates loyalty and deep engagement with its customers. Once a household has an Echo, they are unlikely to have another rival device, such as a Tesco or Sainsbury’s voice controlled device. So by being first to market, Amazon can effectively own voice controlled shopping and enjoy the revenues that this delivers. For builder’s merchants, a discussion on the merits of the Amazon Echo may seem slightly left of field. However this technology is a prime example of the move beyond mere e-commerce websites and mobile apps to customer engagement applications and the opening up of new and innovative sales channels. Traditional e-commerce sites offer very little in the way of value for the customer, apart from perhaps getting a better online price and enjoying ‘always on’ convenience. However, online customers can be promiscuous in their buying habits with suppliers competing on price rather than value. There is little loyalty and, for the customer, it’s generally as convenient to buy from one e-commerce site as from another. Customers can move, at will, between suppliers and as a result, suppliers understand little about their customer’s behaviours. 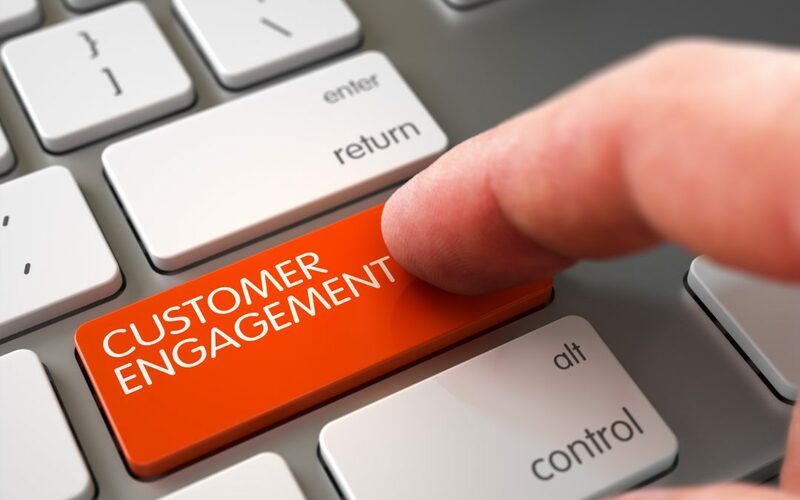 In my experience, deeper customer engagement is about three things which help drive customer loyalty. Delivering more value to the customer, creating frequent interactions with the customer and deeper understanding of the customer’s individual needs. We’ll delve deeper into these three elements in Part II of this blog series. Meantime, if you have any questions please do not hesitate to contact us on info@engagentrade.com or 0141 352 2280.